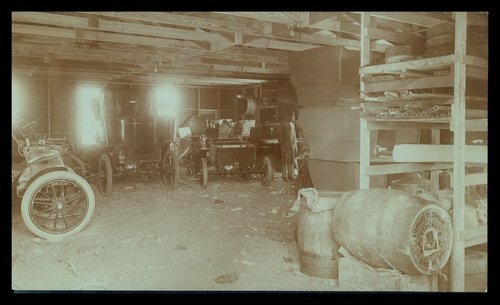 A photograph showing the inside of the Smith automobile factory, Topeka, Kansas. This factory was located at 618 Quincy Street. It was one of four Kansas companies building cars during this time.